Kid Robot has been gracing the front page of IATT a couple times this week, this time with a collab with Swatch. Back in the 90’s Swatch was the bees knees, but as most fads died out overtime, but as a sign of a second coming I have been seeing Swatch pop up all over the place including my local mall and the brand new Swatch Store. 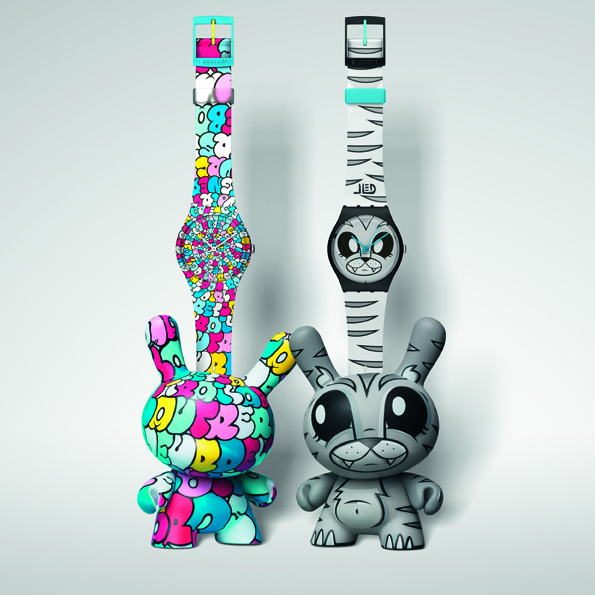 Out to prove that Swatch is cool once again, they have teamed up with Kid Robot to release eight new watches each accompanied by a complimentary Dunny! Pretty cool stuff. 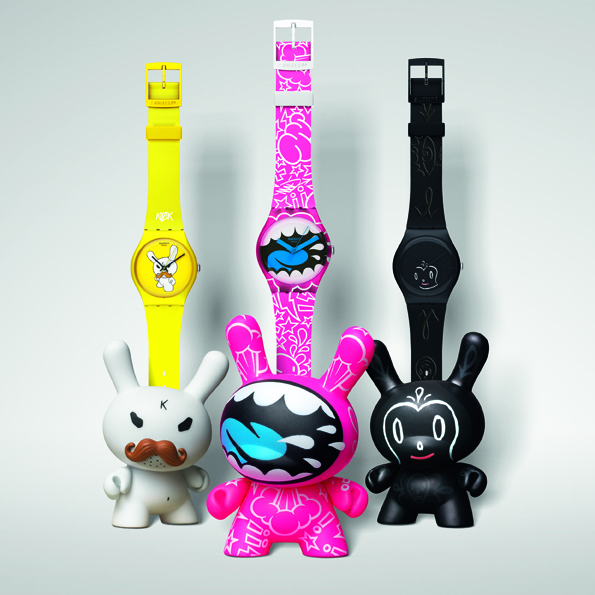 The watches will release officially on September 1st on store.swatch.com and I am sure will be limited in supply. So make sure to mark your calendars if you want to pick some of these up!